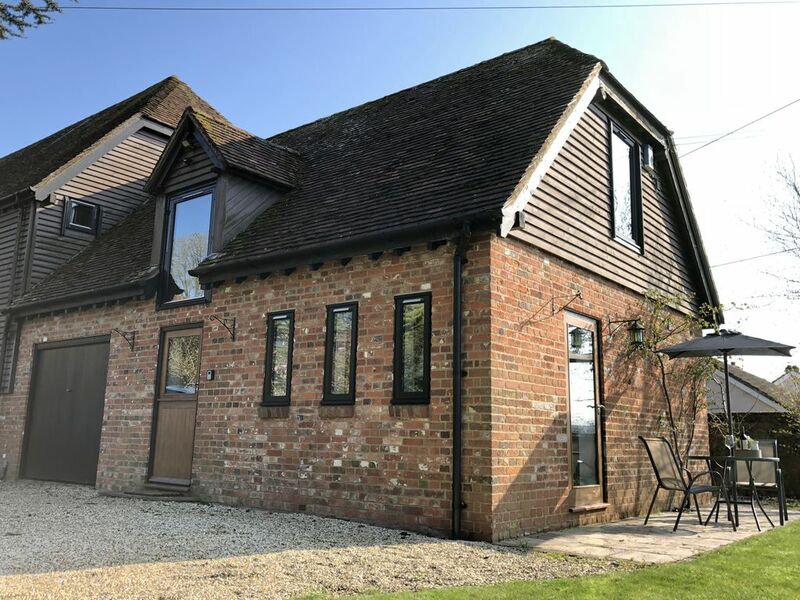 The Stable Barn is part of a 17th century barn conversion, situated on the edge of the New Forest National Park in the picturesque village of Downton on the River Avon. It is the perfect retreat to enjoy the English countryside and explore the South Coast of England with easy access to Salisbury, Southampton and Bournemouth. Ideal for walkers, cyclists and nature lovers or those simply looking for a relaxing stay. The Stable Barn dates back to the 17th century and is a property with charm and comfort, complete with original character beams. The entrance leads to an open plan living, dining and kitchen space with central heating, wifi, TV and DVD player, DAB radio, dishwasher, washing machine, fridge freezer and oven. There is a shower room and toilet. Upstairs is the bedroom with double bed complete with an ensuite toilet. There are plenty of drawers and a fitted wardrobe. There is a separate door opening out to your own patio garden area (benefiting from the sun all afternoon) with an outdoor table, chairs and parasol. The property is self contained with its own entrance with space for guest parking outside the barn and a large private garden area. The Stable Barn is a relaxing retreat and we will leave you to enjoy your own space. However, if guests do require any assistance or information about the local area then we are happy to help. The Stable Barn is within walking distance of Downton village centre which has local shops, pharmacy, cafe and pubs. Guests have direct access to the Avon Valley Footpath outside the property. Easy to find location. Very well appointed with great attention to detail and comfort. The owner (Gavin) couldn't be more helpful, and does all he can to ensure your stay is as perfect as possible. There is a great Pub only 5 minute walk (The Wooden Spoon) that serves very good "Pub Grub" and draft local beers. My first experience of this kind but will certainly be keen to visit again. The Stable Barn is a lovely, clean, cozy quiet place. Ideal for exploring the New Forest and very handily placed for amenities in Downton. Highly recommended! The place is well equipped and decorated to a high standard. It is well located for lots of interesting places.